Native. Enormous crown with fertile fronds 50% larger than 'regular' Ostrich Fern. 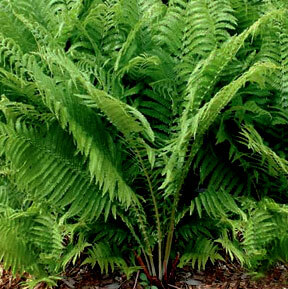 Unsurpassed with a perfect vase-shaped form and huge, deep green plume-shaped fronds. Adds both beauty and depth to the garden. Vigorous grower. From the Mickel Collection™. Please advise price and availability of "Jumbo" Ostrich Ferns. What size plants do you ship. Are they "bare root"?